Find the area of a sector if it has an arc length of and a radius of . The length of the arc of the sector is just a fraction of the arc of the circumference. 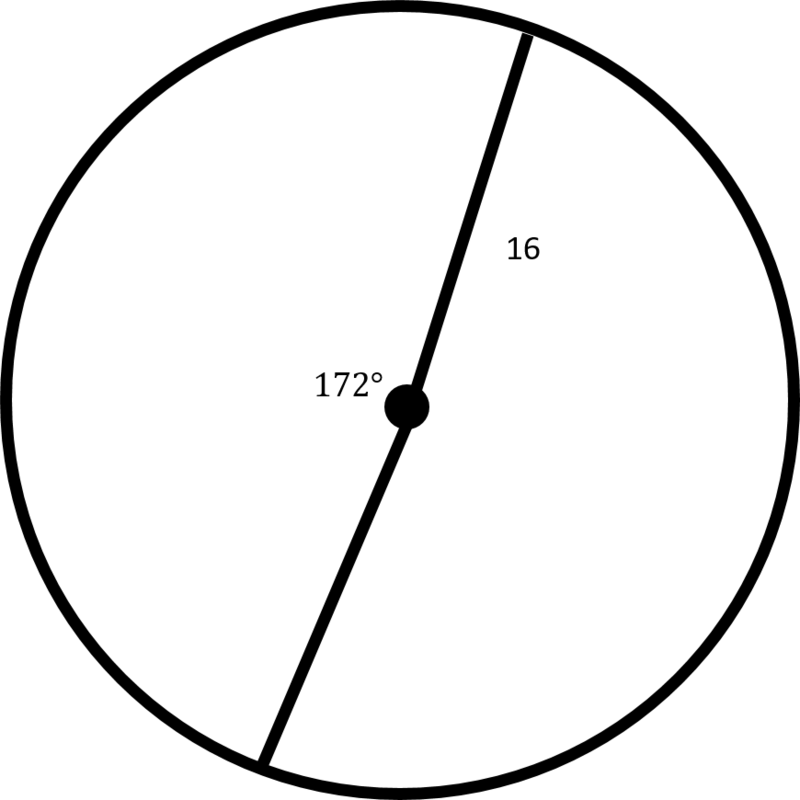 The area of the sector will be the same fraction of the area as the length of the arc is of the circumference. Plug in the given arc length and radius to find the area of the sector. Make sure to round to places after the decimal. Find the area of a sector if it has a central angle of degrees and a radius of . , where is the radius of the circle. Plug in the given central angle and radius to find the area of the sector. Make sure to round to two places after the decimal.